Baxi’s cosy taxi will be visiting Manchester, Preston, Birmingham and Nottingham this week, with the final destination to be decided in a social media poll. Following the success of its London debut, the “Baxi Taxi” with its unassuming exterior, features a very surprising interior. Designed to mimic the warmth of a cosy country lodge, the inside of the black cab is decked out from top to bottom with crushed velvet, faux fur throws and even a fluffy sheepskin rug. 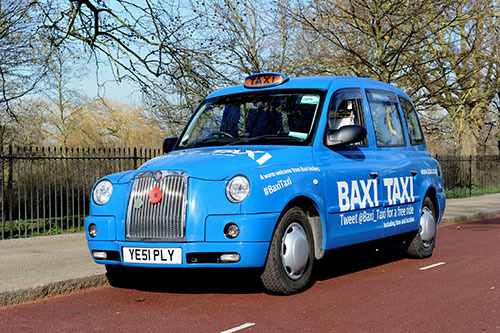 To book a free ride, installers simply need to Tweet @Baxi_Taxi with their postcode and preferred pick up time. David Cook, sales director at Baxi said: “The Baxi Taxi is here to get passengers to their destinations in warmth and luxury, so it is the perfect pick me up for hardworking installers to take advantage of and treat themselves to a cosy ride, which is completely free of charge.